Gary Gruver is an experienced executive with a proven track record of transforming software development processes and working with executives in large organizations. 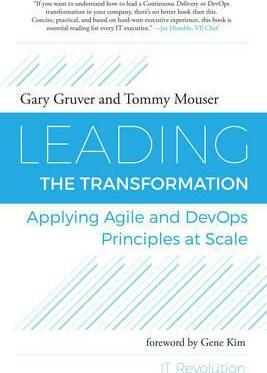 As coauthor of A Practical Approach to Large-Scale Agile Development, he documents how HP revolutionized software development while he was the director of the LaserJet Firmware development lab at HP. As VP of QE, Release, and Operations at Macys.com he led their transition to continuous delivery. Gary currently lives in Idaho with his wife and enjoys skiing, hiking, and mountain biking. Tommy Mouser has been directly involved in the design, development, qualification, and delivery of software systems for over 30 years. For the past eight years, while working at HP and Macys.com, his primary focus has been on working with his teams and partners on a journey toward Agile methodologies. Tommy currently resides in Boise, Idaho, with his wife, Debbie. He enjoys a wide range of outdoor activities and has recently gotten into fly-fishing with some of his longtime friends and coworkers.